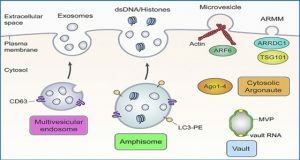 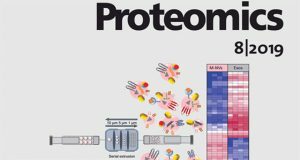 Exosomes, as important signal transmitters, play a key role in intercellular communication, especially in cancer metastasis. 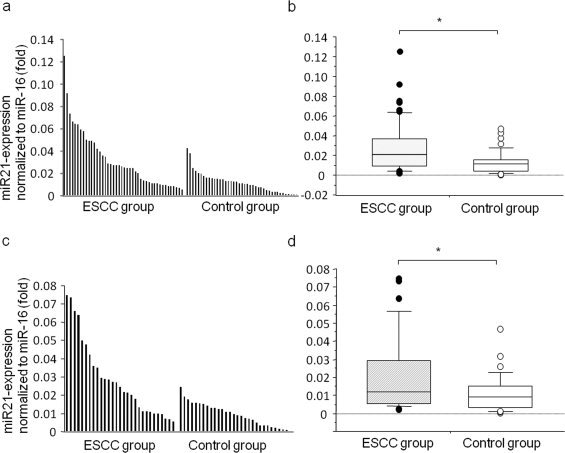 There is considerable evidence that exosomes can be used as an indicator of cancer. 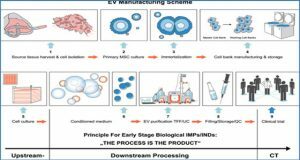 However, convenient and sensitive methods for detecting exosomes are still technically challenging. 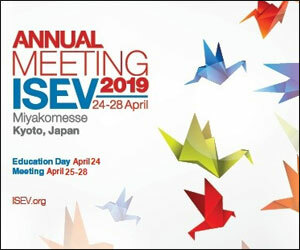 Here, researchers at East China University of Science and Technology present a convenient and highly sensitive surface-enhanced Raman scattering (SERS) based method by combining immunoaffinity, SERS nanoprobes, and portable Raman devices for specific isolation and accurate quantification of exosomes. 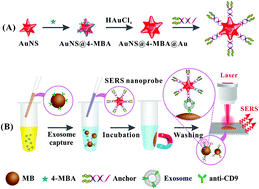 To construct the SERS-based biosensor, the surfaces of gold nanostar@4-mercaptobenzoic acid@nanoshell structures (AuNS@4-MBA@Au) are modified with a bivalent cholesterol (B-Chol)-labeled DNA anchor to prepare SERS nanoprobes. 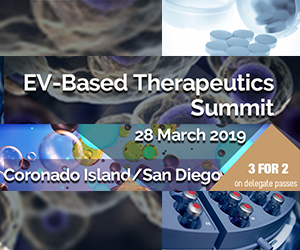 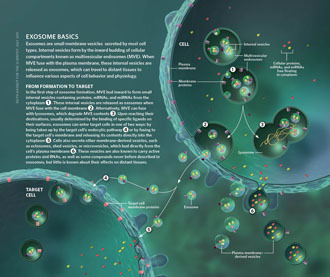 Exosomes are specifically captured by immunomagnetic beads, and then SERS nanoprobes are fixed on the surface of exosomes by hydrophobic interactions between cholesterol and lipid membranes, thus forming a sandwich-type immunocomplex. 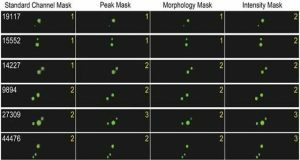 The immunocomplex can be magnetically captured and produce enhanced SERS signals. 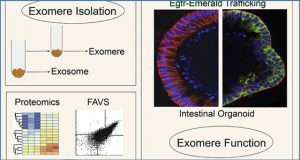 In the absence of exosomes, the sandwich-type immunocomplex cannot be formed, and thus negligible SERS signals are detected. 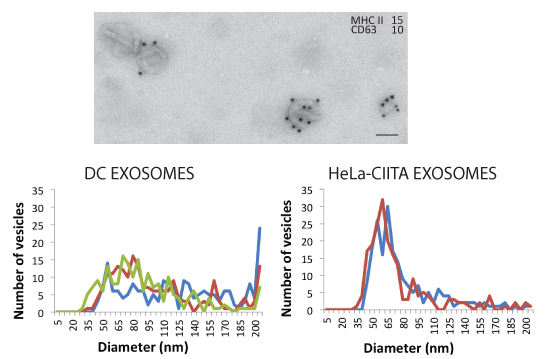 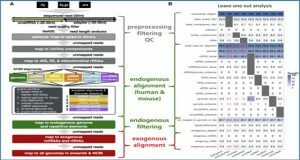 The degree of immunocomplex assembly and the corresponding SERS signals are positively correlated with the exosome concentration over a wide linear range of 40 to 4 × 107 particles per μL and the limit of detection is as low as 27 particles per μL. 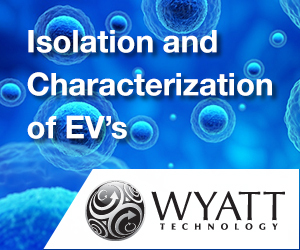 Consequently, a sensitive and simple strategy for detection of exosomes is successfully constructed. 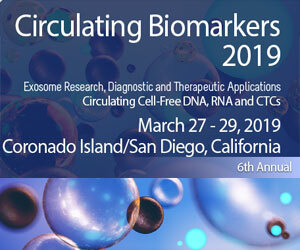 The developers believe that their biosensor has considerable potential as a convenient and highly sensitive quantification tool to detect exosomes in biological samples.